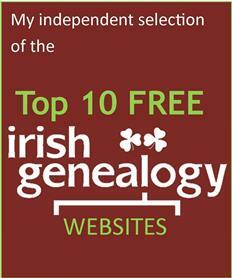 ► You say Irish geneology, I say Irish genealogy. That third vowel causes a lot of problems! ► The Fire of 1922 – 'All the Irish records burned' – myth or fact? ► 1926 Irish census - when will it be released? ► Niall of the Nine Hostages: The Big Daddy of Ireland? ► Irish first names in 1864 – the year civil registration was introduced. Exclusive Toolkit research! ► What was the most popular Northern Irish name in 2012? ► How did St Patrick's Day become such an excuse for a party? ► The story of the Jack O Lantern. The origin of trick or treating. ► A random selection of 10 fun facts about Ireland, plus 10 film location Ireland details. Contact me Please feel free to contact me but bear in mind that I don't respond to all enquiries. Please read what is written in the contact page!